My signature project was a study abroad in Greece. 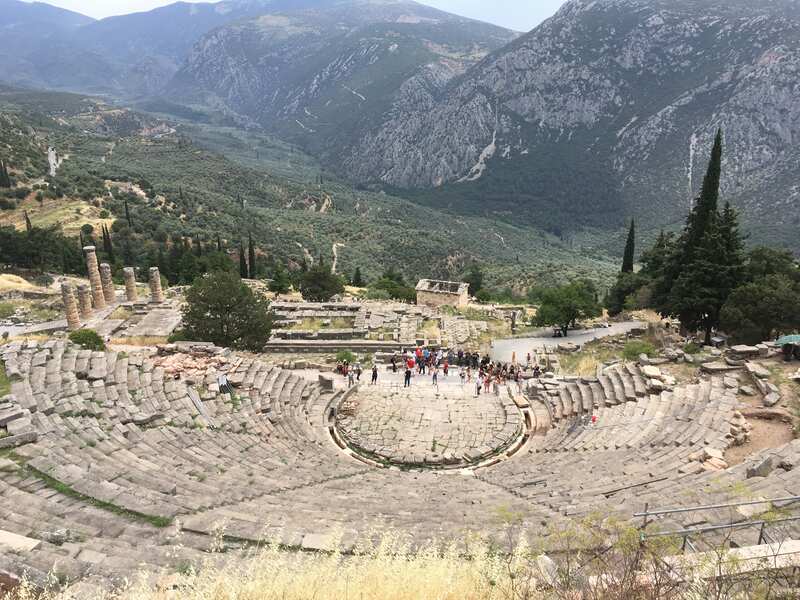 This trip was meant to expose students to some of the historical sites of Greece with the goal of teaching students about the engineering and architecture that went into these historical sites. Students would regularly discuss the sites we visited and the significance of each. One major transformation that I noticed was in my perspective of the world around me. After experiencing the culture of Greece I feel more knowledgeable of other cultures. Additionally what I expect when visiting other countries has changed. First my knowledge of other cultures was expanded because now I understand Greek culture. This change came from talking with locals, eating the food, and exploring their cities. The interactions I had with locals taught me about the economic struggle and how it affects the common working class person in Greece. I learned that the locals were always very nice even when speaking English to us. They would apologize for their English being bad but they are speaking a second language to us when we are visiting their country. I loved everybody we met because they were so helpful and nice. The food showed me how differently people eat in different countries. I loved all the food I had in Greece and I wish our diet was more like Greece’s diet. Exploring the cities was interesting. I saw a lot of graffiti on every building and a lot of buildings looked run down. Maybe this is due to the economic crisis. I was expecting the city to feel more like a tourist city but it didn’t. I also shopped at a lot of local shops, most of which were for tourists, but also some clothing stores. The clothing wasn’t significantly different but enough so that looking at these stores was a learning experience for me. As for expectations I was expecting the locals to be helpful but seem annoyed by our presence. I was expecting some locals to be rude and indifferent toward us visiting but everybody was so nice and friendly. This expectation might have been from how I have seen Americans treat tourists from other countries. I expect locals to be nicer now but obviously it can vary from country to country. As for Greece if I ever go again I expect locals to be very friendly again. One interaction that led to this transformation was a conversation with a bartender at a hotel we stayed at. His name was Chris and we talked to him about a lot of things. One of the first things we learned is that he doesn’t make enough bartending to live on his own in Athens. He still lives with his parents because rent each month costs around 450 euro and his income per month he said was 600 euro. After paying rent he said he wouldn’t have that much money left over to pay his other bills. One of these other bills he had was the cost of using his car to drive to work. He said it costs around 10 euro per day to drive to work. This is some of the culture I experienced from the locals about how the economic crisis is hurting everyone. One of the pieces of this event that was so crucial to the transformation above is that the bartender stayed open later than he had to while he was talking to us. Most bartenders in America would probably kick people out when they are closed but Chris was very nice and seemed to enjoy our conversation. The second thing is everything he told us about how he financial struggled in Athens. This impacted me because I didn’t know a lot about the economic crisis to begin with and hearing a testimony about how it impacted a bartender was really interesting. 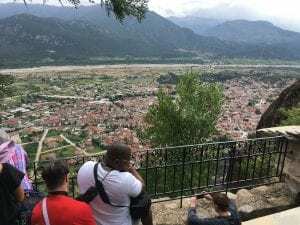 He also told us about the city of Athens and how tourists are targeted. Chris said if we went a couple blocks away from the hotel at 11pm alone he guaranteed we would be mugged. This impacted me because it changed how I viewed the city of Athens. 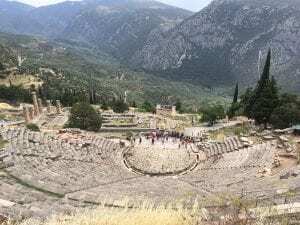 Most cities in America are safe (certain areas obviously are not always safe but most areas are) so it was surprising that even where we were near the Acropolis which is a large tourist attraction that it still isn’t very safe. Another interaction that lead to the change above was one of the lunches we had on Patmos. The food was about the same as everywhere else in terms of quality and items on the menu. It was family/feast style and we got bread and tzatziki, Greek salad, entrée, and dessert which was fruit. The best part was after eating lunch we got to see traditional Greek dancing performed by the men working there. Then after they finished they taught us a couple basic Greek dances and our whole group got to try it. This lead to the transformation above because it was a firsthand experience of how a meal would be served in Greece. It wasn’t significantly different from an American meal other than the food served and dessert. The dessert differed because it was fruit and not something very sweet and heavy. The dancing showed me traditional dancing in Greece which I had never seen before and this was very interesting. During this whole lunch I got to see how friendly the staff was to us. I was expecting the staff to be nice when serving us because that’s how it is in America but they went above and beyond to make sure everyone had fun. When showing us the dancing the staff also had fun and wanted to make sure we had fun and learned something about Greek culture. This was one of the points where I knew that it wasn’t a streak of luck that everyone we had met up till this point had been very nice. Being nice is something that I believe everyone in Greece places very highly. This transformation was significant because it sparked my desire to travel more. Before going to Greece I was interested in traveling but now I am looking at other study abroad for next year. It showed me that not everywhere I go will the locals be rude to me. I felt at home in some of the hotels and cities in Greece. This trip was also significant because it changed how I personally will treat people of different cultures and it will be how I was treated by the locals in Greece. This matters because as a whole America should be more open and accepting to different cultures and backgrounds, more so than we currently are. The changes I experienced helped to make me a more inclusive person which will help in my professional career and my personal life. I am grateful for this change I experienced because there was no better way to experience the culture of a different country than being immersed in it. Posted by jacobs.950 at 5:32pm Bookmark the permalink. Your experience with the local community seemed to really help shape your understanding of the experience and culture. Hopefully based on the welcoming experience you had with those who lived in the cities will help you frame your future experience when working with someone who is visiting the U.S.
Glad to see the hospitality went above and beyond your expectations. Can you imagine if people is in the United States and Ohio State provided that same sense of hospitality to all visitors?